The comma may be a very small punctuation mark, but people often have very strong feelings about how it should, and should not be used. On this edition of "That's What They Say," host Rina Miller and University of Michigan Professor Anne Curzan discuss the Oxford comma, semicolons and breaking rules. If a gift is "inherently free," isn't it just free? 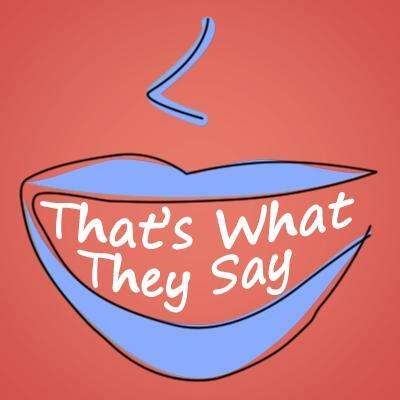 On this edition of "That's What They Say," host Rina Miller and Professor Anne Curzan discuss those often annoying redundancies in the English language. Other redundancies include the clunky "hot-water heater" in your basement, or perhaps that "plan going forward" that you've been anticipating. It's obvious that this trait in the English language just isn't logical, and Anne Curzan agrees. "They aren't logical, and I'm not going to sit here and make an argument that they are logical," explains Curzan. "But what I am going to say is that languages aren't always logical, that I think we sometimes think they should be completely logical. But human languages are sometimes logical, and sometimes not." So we know that our language is rife with illogical redundancies in both grammar and speech, but can these redundancies actually be helpful? Where are you graduating from? Or are you just graduating? On this edition of "That's What They Say," host Rina Miller and Professor Anne Curzan discuss the mishaps with the proper use of "graduation." There's been a good amount of change around the verb graduate, explains Curzan. "It used to be that the University was supposed to graduate you...in the nineteenth century we started to get that students could graduate from the university." Before you graduate from a university, or just graduate, you've got to matriculate. But what does matriculation actually mean? "Matriculation technically means, 'to enroll in or at,' and you'll often see it used that way, but there appears to be some confusion. People sometimes use matriculate to mean graduate," says Curzan.